Finding the perfect vehicle that can fit both passengers and cargo can seem like a difficult task. 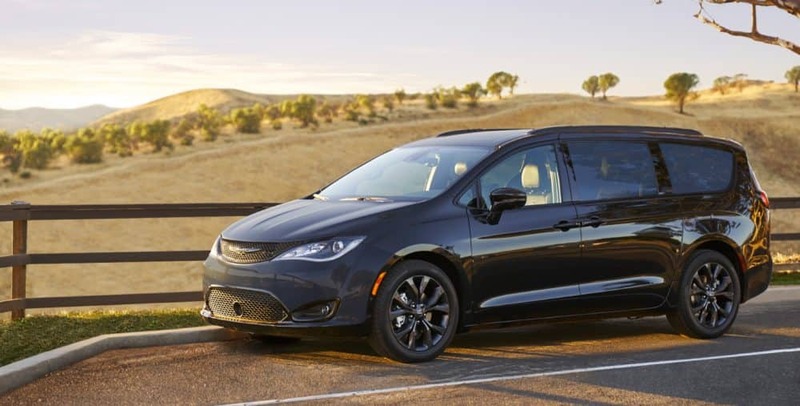 Luckily, minivans have been perfecting the balance between fun and purpose for years, and in the 2019 model year, the Chrysler Pacifica can truly be called perfect. Not only does this minivan give you six trim levels and one standard engine, but you'll be getting the latest in safety and entertainment in order to keep your family safe and entertained. Owning a minivan means owning a lifesaver. Not only does this vehicle make dropping the kids off at practice easier, but it keeps you focused on the task at hand, rather than worrying about the safety of the passengers. To learn more about what the 2019 Pacifica has to offer, continue reading down below! Power, no matter the vehicle, is important to keep the whole system together. In the 2019 Chrysler Pacifica, you'll find a 3.6-liter V6 engine. If you think you've heard of this engine before, then you'd be right. It comes in many Chrysler Dodge Jeep Ram models for a reason! This engine can pump out 287 horsepower and 262 pound-feet of torque, while matched to a nine-speed automatic transmission. Fuel economy is no issue for the 2019 Pacifica. The L trim will get you 18/28 mpg, while the rest of the trim levels give you 19/28 mpg. What is the model lineup of the 2019 Pacifica? As mentioned previously, there are 6 trim levels that you'll find available with the Pacifica. Each trim level comes with a long list of standard features to make life easier. The base trim, L, features 17-inch steel wheels, keyless entry and ignition, blind-spot monitoring, rear cross-traffic alert, a height-adjustable driver's seat, a 7-inch touchscreen, Bluetooth, an auxiliary jack, heated mirrors, a rearview camera, rear parking sensors, dual-zone climate control, a 60/40-split folding third-row seat, Apple CarPlay and Android Auto, and a 6-speaker audio system. Another trim you should consider is the Touring Plus, which comes with fog lights, chrome exterior trim, remote engine start, a power liftgate, satellite radio, LED taillights, full keyless entry, power-sliding rear doors, automatic climate control, and a charge-only USB port. The highest trim, and also the most luxurious, is the Limited. In the Limited you'll find 18-inch wheels, LED fog lights, power-folding mirrors, two sunroofs, premium leather upholstery, an in-vehicle vacuum cleaner, a power-folding third-row seat, xenon headlamps, auto-dimming exterior and rearview mirrors, driver-seat memory settings, ventilated front seats, hands-free liftgate and hands-free sliding doors, and a second-row USB port. What safety features come with the Pacifica? The Pacifica includes a long list of available safety features. Some of the standard features include rear cross-traffic alert, a rearview camera, rear parking sensors, and blind-spot monitoring. You can also find features like a top-down parking camera, front parking sensors, forward collision warning with automatic emergency braking, lane departure warning, adaptive cruise control, and blind-spot monitoring. All of these features help to create a minivan that gives you something that is absolutely priceless--peace of mind. No matter your reasons for buying a minivan, then 2019 Chrysler Pacifica deserves to be at the top of your list. This minivan offers safety, power, and versatility. Stop by our dealership today to check out our 2019 inventory!